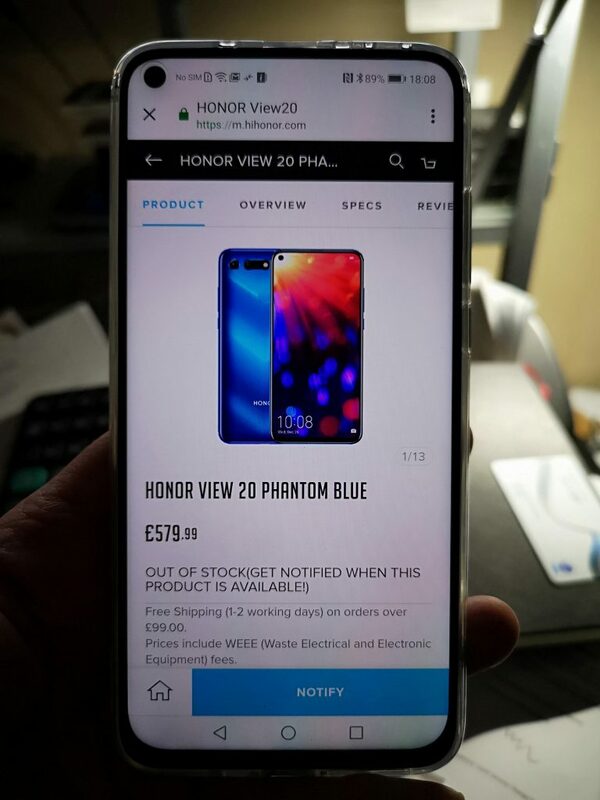 Honor has now launched the View 20 in international markets. It chose to conduct the launch in Paris, France – heart of the European fashion industry and also notable as the heart of one of Honor’s fastest growing sales regions – Europe. Honor has been bucking trends. In a global smartphone market that is rocking between tepid growth and shallow decline, Honor stands as one of the few manufacturers growing, and fast; annual growth in 2018 of more than 20%. It has done this with a tight focus on serving its core market segment of millennials with a tight range of products that mix good specifications, well-thought through designs and attractive pricing. It spends relatively little on above-the-line advertising but takes full advantage of the power of social media to manage its marketing efficiently and cost effectively. Social media is, after all, the best way to reach its target audience. The View 20 launch also served as a platform to reveal a new logo design. 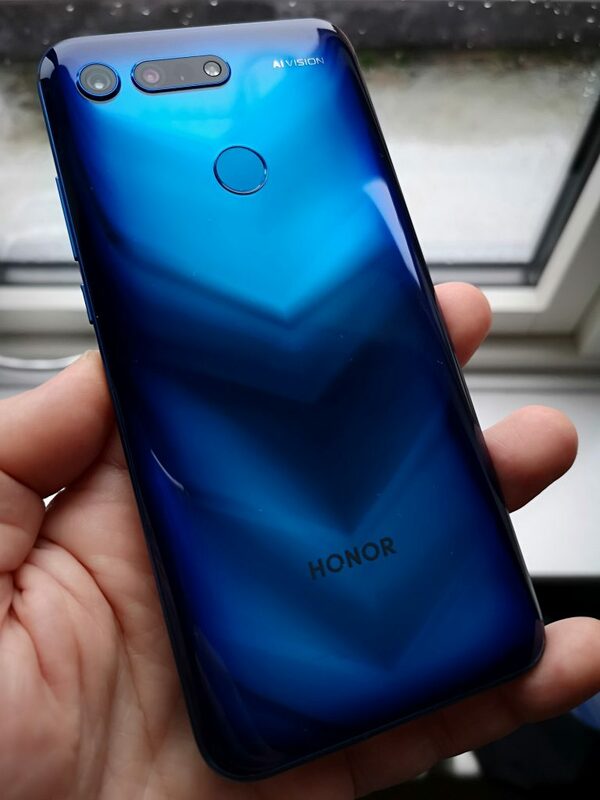 Honor is eschewing its lower-case logo in favour of an all caps rendering of its name. It’s also flowing multiple colours through its new logo. Changing a logo is a big decision and Honor will not have made this decision lightly, indeed, we understand it has been talking internally about the change for around two years. It has made the change for typographical and design reasons. For example, in the lower case honor the ‘h’ is higher than all the other letters. This put limits on how the logo could be used. In addition, the lower case honor in written text is difficult to distinguish from other words. We liked the old logo, with its quirky digital flavour. By contrast the new logo looks more corporate. It’s fine, but not particularly distinctive. However, we doubt this modest change will slow HONOR’s progress. And for evidence of that one only has to look at the View 20. Underneath the attractively designed exterior of the View 20 is virtually the same platform as the Huawei Mate 20. This is no bad thing as the Mate 20 Pro was arguably the best phone launched in 2018. This means the View 20 is rocking the 7nm Kirin 980 chipset with its dual neural processing units, dual ISPs, CAT21 LTE, liquid cooling and a 4000mAH battery with fast charging and much more. The industrial design is worth focusing on. It’s not quite as slick as the Mate 20 Pro but it is accomplished. The glass back has a nano-lithography treatment that shows-up as a subtle v-shaped design within the coloured glass. Two versions of the product are available; 6GB/128GB base model and the higher capacity 8GB/256GB version, some of which have additional design magic sprinkled on them by fashion house Moschino. Four colour-ways are available from the January 23rd launch. 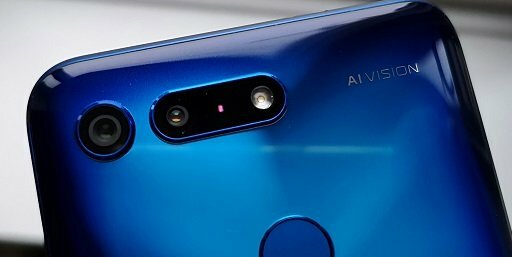 While the Mate 20 was outfitted with a triple camera module, the View 20 gets only a single camera on the back. But it has a 48Mpix Sony IMX586 sensor – the single largest sensor on a smartphone today. There is what looks like a second camera on the back, but it’s a Time of Flight (TOF) sensor that enables the phone to accomplish some impressive 3D and AR related applications. 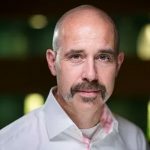 Some of these will be included at launch, but others will be reliant on developers taking the capability and running with it – something that has happened only modestly in iOS so far, so we’re not convinced Android developers, outside China, will do much with this, though we’d like to be proven wrong. The front-facing camera is another stand-out feature. This has a 25Mpix Sony sensor set in a 4.5mm diameter ‘punch-hole’, tight in the corner of the display. The punch-hole is the smallest so far managed by any company. Honor has achieved this without piercing the liquid crystal of the LCD display, which, it says, makes it stronger and less likely to fail with rough handling. Honor used LCD for the display because OLED would not have allowed the punch-hole design. One further aspect of this is that the LCDs cannot support under-glass fingerprint sensors, so the View 20’s sensor is on the back of the device. The front facing camera does support facial recognition but only simple facial recognition rather than with structured light as on the Mate 20 Pro and iPhone X-series. The upside is that the display is more or less edge to edge – achieving almost 92% screen to body ratio in the 6.4” 1080p display. Pixel density is a solid 398 ppi, not class leading but more than adequate. The front-facing camera has also placed some limitations on other design aspects. For example, the front display glass is flat, without the curved edges that are considered fashionable and used to good effect on the Mate 20 Pro. The issue being that the front-facing camera is positioned very close to the corner of the device. Were the cover glass to be curved it would distort the image. The Honor View 20 is one of the first flagship launches of 2019. Time will tell where it stacks-up in the list of best-selling phones of the year. It doesn’t tick all the boxes – no IP68 water resistance, no structured light facial recognition and no wireless charging, for example. But it has a lot to recommend it. And with a price of €569 for the 6GB/128GB version, €649 for the 8GB/256GB Moschino edition, good and broadening distribution, there is plenty here to support our view that Honor likely continues to outperform the market average and, other things being equal, gains share in 2019.